You would think that “being highly favored” would mean that everything would go well with Mary, but that couldn’t be further from the truth. It was one trial after another. You can read in the Gospel of Luke the account of all that Mary went through before and during the birth of Jesus. Major bitterness could have set in Mary’s heart after hearing that a sword, a bitter cup, a trial was coming that would pierce her heart. She had experienced a lot of disappointment since she said yes to God’s will, and now these painful words were spoken to her through the mouth of a prophet. Her heart was going to be attacked, her child was going to be misunderstood and rejected. But Mary didn’t become bitter, the Bible says in Luke 2:51 that Mary “treasured all these things in her heart!” Because of the condition of her heart, Jesus grew in wisdom and stature, and in favor with God and man (v. 52). Thank yu Mrs. Durso.. I so needed this Word. 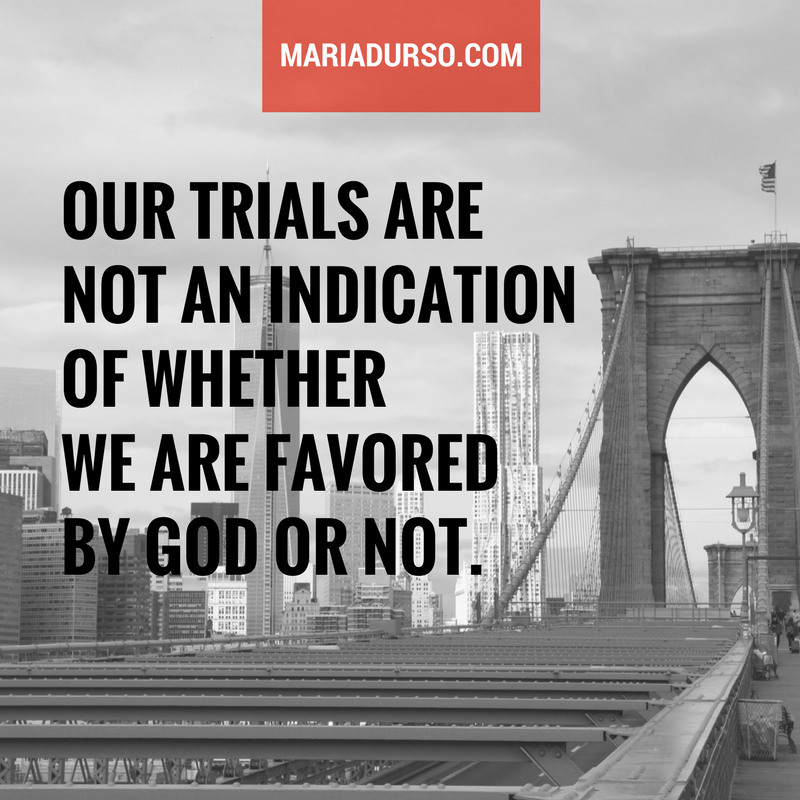 God’s favor. Awesome. Isn’t amazing how such a young girl had so much wisdom to handle all that would come into her life . God is so wise in all that He does and the choices He makes. We serve an amazing God who loves us unconditionally!! I am so blessed to know that love and forgiveness!!! Looking forward to meeting you at the upcoming Woman’s Spring Conference March 30,2019.